Happy late Turkey Day, everyone! Hope you all had a fun one! (Mr. Kim Chee spent his on the couch--the flu's going around, ouch!) My sister and I went shopping at 10 p.m. and got back at 2 a.m. My first experience at Black Friday shopping (if you can call going that early Black Friday shopping.) A midday nap seems like it's in the cards for today...! 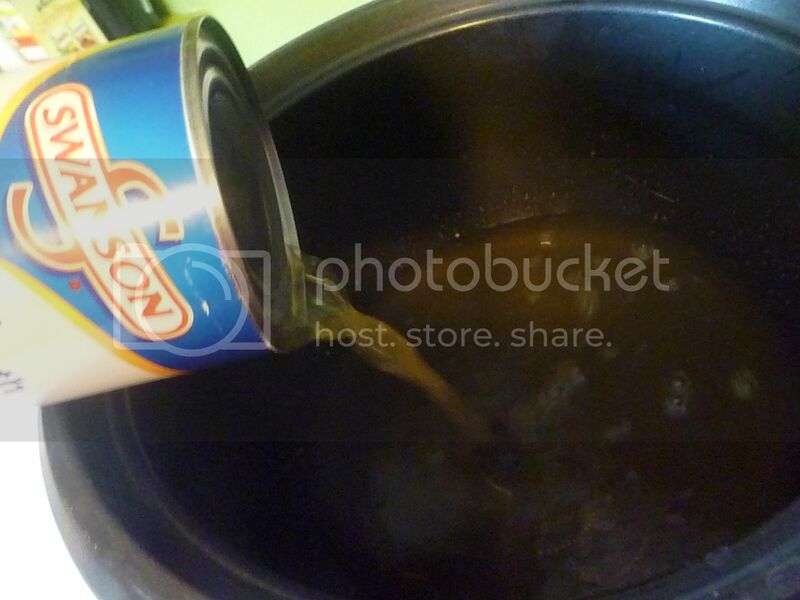 Pour a can of vegetable (or chicken) broth into a pot or a rice cooker. The thing that makes this saffron rice is, obviously, saffron. A nice generous pinch will do it. Saffron's a great spice. It's not an overwhelming flavor, but it does have a very distinctive taste. 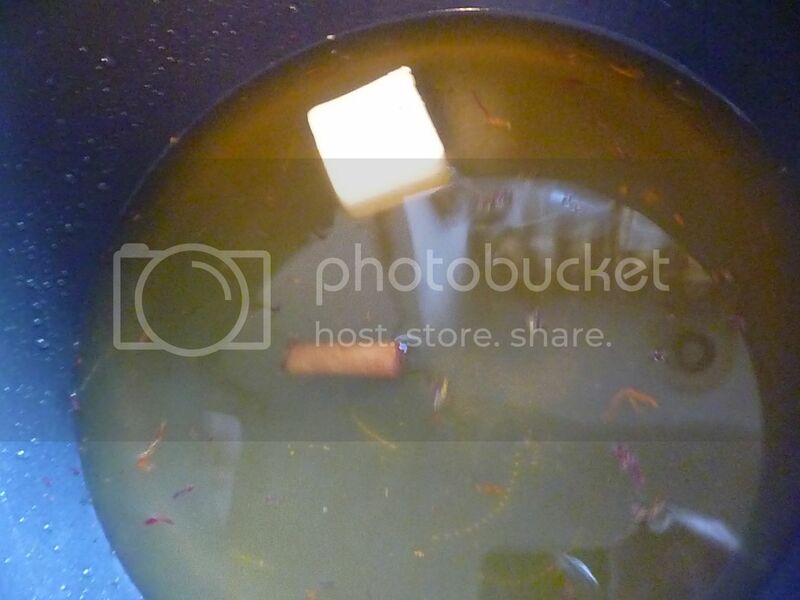 And it turns everything a pretty amber color. It's also the world's most expensive spice. But don't be put off. It's sold by the ounce, and it's really light. And you won't need much in each recipe. It's a nice exotic spice to have on hand, and one that you can't substitute if it's asked for in a recipe. A short cinnamon stick will give it a bit more spice and a slightly unusual (and festive!) flavor. Add a pat of butter. 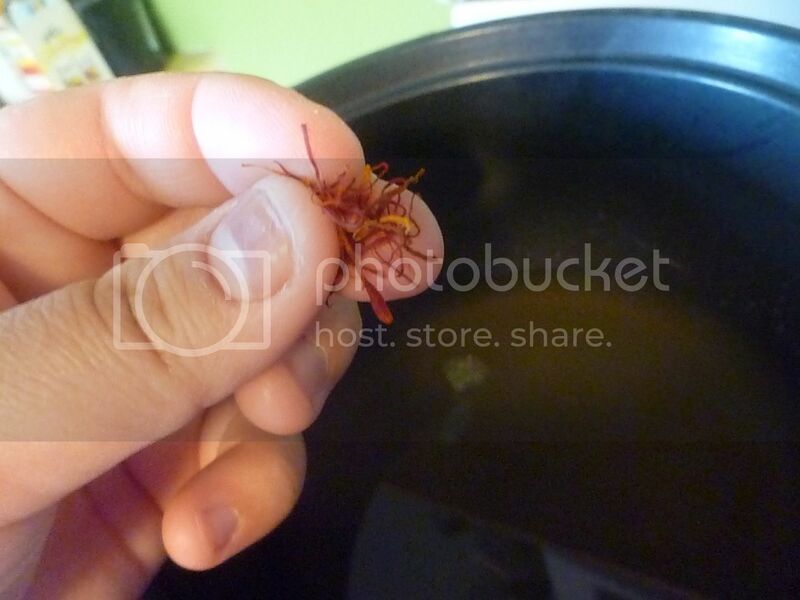 Then turn your rice cooker (or pan) on warm and let the saffron steep for about half an hour. 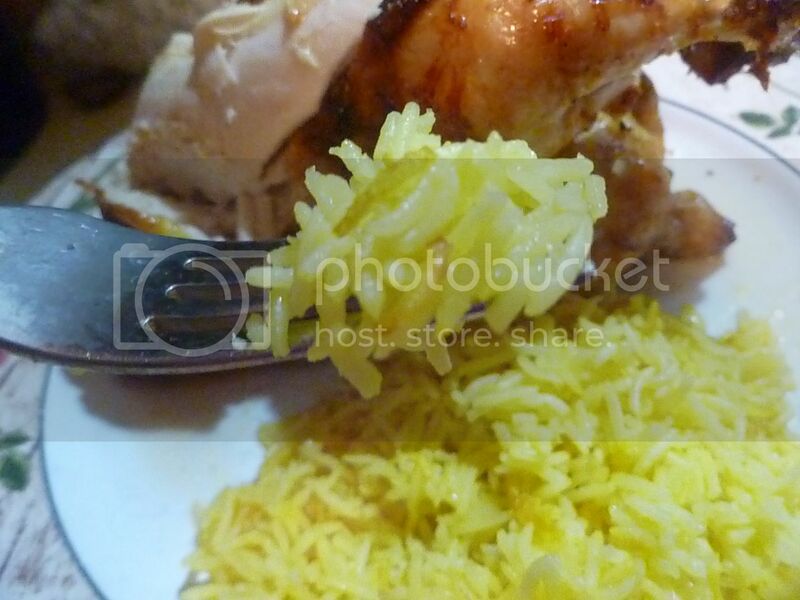 When time's up, add a cup of basmati rice. Cook your rice until it's done (or until your cooker tells you it's done.) Then fluff it up and serve! 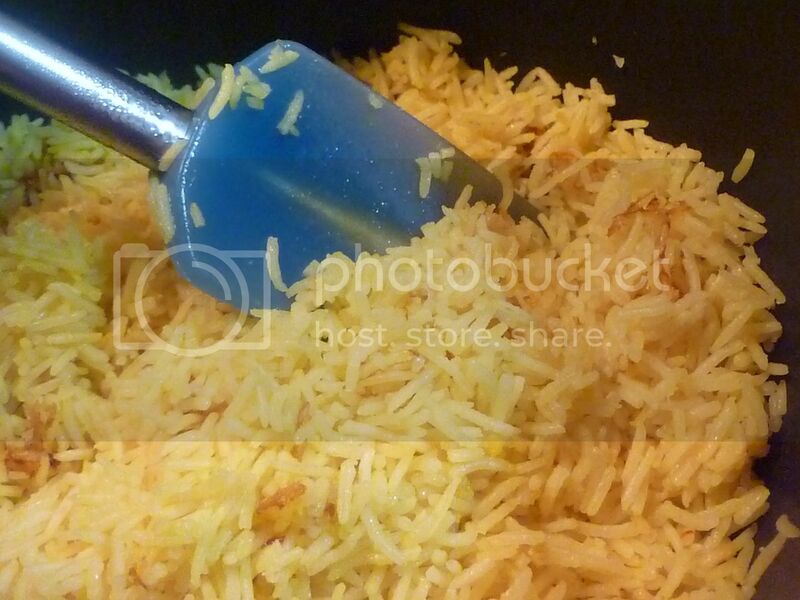 The butter will cause some of the rice to get nice and crunchy. 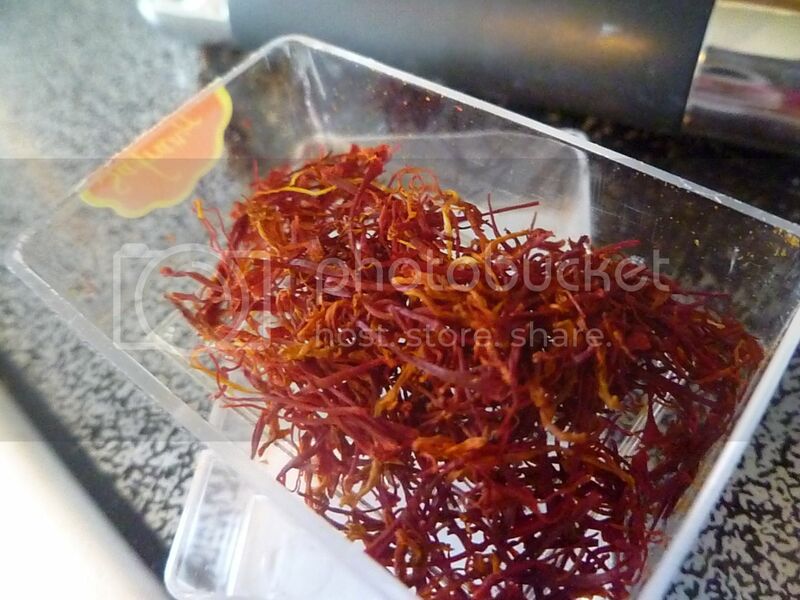 The saffron will infuse its flavor throughout, and the cinnamon will give it a hint of spice. It's a fabulous side dish that's a bit different than plain rice, and will add a little bit of exotic flavor to your dinner. 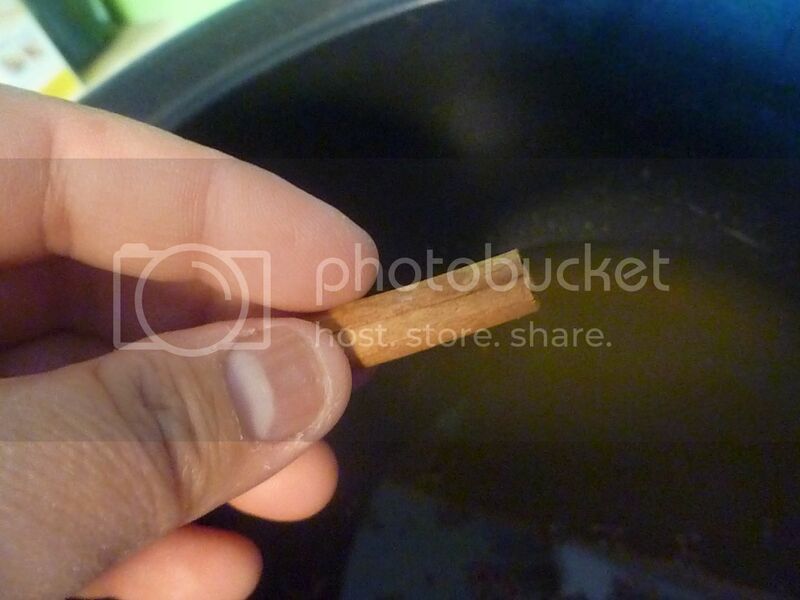 Combine broth, saffron, cinnamon stick, and butter. Heat on "warm" setting in rice cooker or very low on the stove, for around 30 minutes. 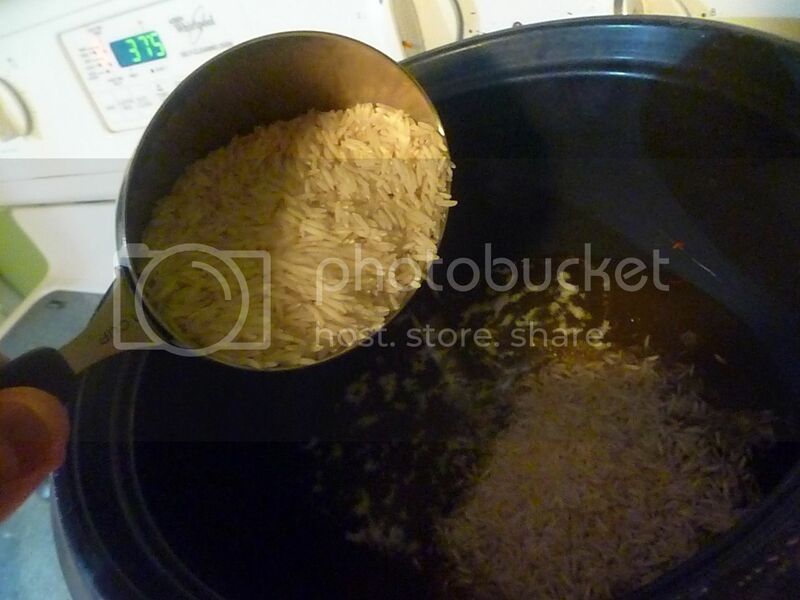 Add basmati rice; cook according to package directions or until rice cooker finishes cooking. Fluff and serve.